As many of you may know by now (mostly if you have read some of my other posts), I am a metal girl with a soft spot for punk, and throw in a few British pop bands from time to time. I do enjoy a bit of folk music sometimes if my it fits my mood. But on the whole its Prog Rock and Metal for this lady! That’s why I am so surprised that I cannot stop listening to Taylor Swift’s Safe & Sound featuring The Civil Wars from the Hunger Games soundtrack. I most definitely would not have given this song a chance if it weren’t for its association with a movie that I am eagerly awaiting. But now that I have, there is no turning back. I’ve added The Civil Wars to my Spotify rotation and I’ve even been YouTubing (don’t want to mess with my last.fm stats!) some Taylor Swift songs to see if this is a one off thing or if I could possibly add her to my rotation. So what do you think? Do you like the song? How about the video? 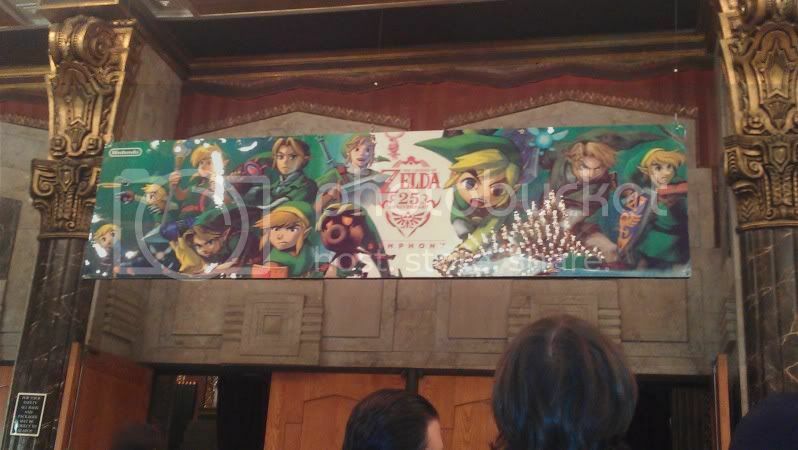 On October 21, I had the extreme pleasure of attending the Legend of Zelda: 25th Anniversary Symphony at the Pantages Theatre in Hollywood, CA. When Nintendo announced at E3 this year that they would be doing this concert, I knew that I would have to buy tickets. When I walked into the Pantages on that Friday night, it was made quite clear that these were my people. People who love and enjoy Zelda as much as I do. There were cosplayers and Zelda shirts everywhere (I wore one myself!). Just a bunch of video game lovers anxious to hear some of their favorite pieces performed live with an orchestra, instead of an 8-bit midi version. The evening began with producer Eiji Aonuma addressing the audience, with the help of Nintendo’s translator, for he doesn’t speak very much English. He was very exuberant and excited that we were there to enjoy the evening, and that when they had had their first concert in Toyko, many people cried. So, he wished us to have a good time and hoped that we would cry as well; he wanted us all to have the same experience. He pointed to the screen behind him, mentioning how they’d be showing clips from the games, but there was ‘spoiler’ material in the clips, so if we hadn’t played the game, he was sorry. The audience had a hearty laugh at that. He said his farewell, and then left the stage. When the conductor walked out onto the stage, I was ecstatic. It was a woman. Her name is Eimear Noone, and she’s amazing. It’s not very often that you see a woman conductor in front of an orchestra. Yes, there are women conductors in the choral field, but for every one woman conductor there are twenty men. Being the music geek that I am, this concert was already amazing, and the orchestra had yet to play a single note. Ms. Noone had quite the stage presence. She introduced each piece to us, telling us where we would be going on our journey for the evening. What I found very fascinating was that the orchestra members all wore headsets. They were filming the concert for Nintendo to use for a variety of reasons. The concert began with Hyrule’s Castle Theme from A Link to the Past. A lot of people consider this game to be one of the best Zelda’s games, as was made clear by the audience whenever a montage from that game would come up on the screen. Next, the orchestra played a beautiful rendition of Princess Zelda’s Theme from A Link to the Past as well. 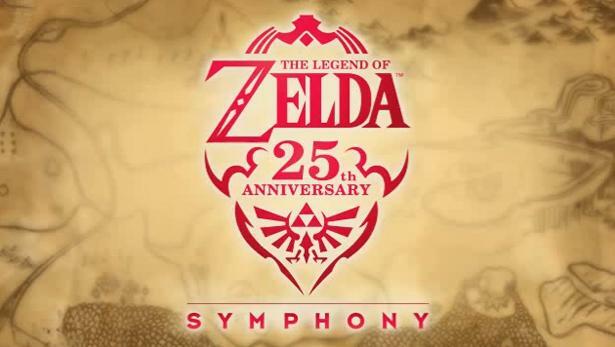 The next movement was what I had be most looking forward to, as it is the first Zelda game I ever played through its entirety – the symphonic suite for Wind Waker. One of my favorite pieces of music is ‘The Great Sea‘, and to hear it live had me openly weeping. It was amazing watching Link sail across the sea, hearing the music performed live. This is why I had waned to attend this concert so badly; this moment is what made it special. Next, Ms. Noone took us through the entire orchestra, showcasing each section off by playing snippets of music from Ocarina of Time. Did you know that there are 19 ocarina melodies, but each of them use only the five notes of ‘Re-Fa-La-Ti-Re’? I didn’t. But I do now, thanks to the show’s program. After introducing each section, they brought it all together by the entire orchestra playing ‘Saria’s Song’, another one of my absolute favorites. Heck, it used to be a ringtone on my phone. The arrangement of the piece was wonderful, and everyone in the audience was tapping their foot along to the beat. The orchestra then played Boss Battle Medley, which took various boss battle music from four of the Zelda games, while each boss fight was shown on the screen. Everyone cheered when each boss made an appearance. They then played The Legend of Zelda 25th Anniversary Medley to end the first half of the concert. The second half began with everyone’s favorite villain – Ganondorf. The orchestra played Ganondorf’s Theme from Ocarina of Time. What was really cool about this particular piece is that they used an organ (albeit through a keyboard, but hey, what can you do? ), which brought chills to my body. Seeing Ganondorf play the organ on the screen, remembering how it sounded through my TV as I played on the Nintendo 64, then to hear it live? A fangirl’s dream come true. The next piece was simply titled The Legend of Zelda: Selected Shorts Suite, where they played as many songs as they could from all the games. The piece that followed was one that I was praying they would play. The two pieces I had wanted to hear live were The Great Sea and then Gerudo’s Valley from Ocarina of Time. The arrangement for ‘Gerudo’s Valley’ was, simply put, astounding. I love the 64-bit version, as well as the string version that was produced a few years ago. But this? This was icing on the cake. To hear the horns blast the melody, as the orchestra accompanied them brought tears to my eyes. Again. Mr. Aonuma would be proud. Hyrule Field from Ocarina of Time followed. On the screen behind the orchestra they showed Link as he traveled across the fields of Hyrule upon Epona’s — Link’s horse— back. Hearing the trumpets shine was a ton of fun. Ms. Noone then introduced us to the two harpists that sat on either side of her, as they began to play the Great Fairy’s Fountain Theme from A Link to the Past. The two women that played made the music sing, hearing them go back and forth was very cool. And no, they didn’t show anything of the Great Fairy fountain. Having not played the game since it was released; it was a real joy to watch scenes from Twilight Princess for the next piece – Twilight Princess Symphonic Movement. The music in the game was incredible, as was the game itself. It was like I was remembering all over what a wonderful game it was just by the music. It’s funny how we can associate music from certain things (video games, movies, etc). Ms. Noone actually talked about that in one of her segues between pieces. As I listened to the medley, I remembered my reactions to certain parts. The evening’s scheduled program ended with The Legend of Zelda Main Theme Medley. The audience cheered and hollered, asking for more. No one wanted to say goodbye to the orchestra just yet. Our hollers were heard, and then, the biggest surprise of the evening happened. Koji Kondo, the composer of the Zelda music, came out on the stage. Everyone screamed, applauding loudly. He sat down at the piano and played Grandma’s Theme from Wind Waker. Watching his hands travel across the keys, knowing that this man was responsible for some of my favorite music in the world (video game or otherwise), made me cry. Again. Lots of tears left my eyes that night. As the song concluded everyone in the audience jumped to their feet. He then thanked everyone, in English, for coming to the concert. He quietly exited the stage, and Mr. Aonuma came back out and said that he had wished he could speak English like Koji, again making the audience laugh. He then informed us that we would be hearing the main theme from Skyway Sword, the Zelda game that is set for release on the 20th of November. It was an amazing night. I am so thankful for being able to experience it. I know that when Skyway Sword is released, there will be a music cd to accompany it for the 25th anniversary. I’m hoping that this music cd will be what I got to hear live so all of you can listen to it. If you are a lover of video game music, it will be a must-have for your collection. This night will be something I will never forget. I recently had the pleasure of interviewing one of my favorite local musicians, Alyson Greenfield. The interview took place the same day as her performance at the Hillstock Festival in Brooklyn, NY. The following video is audio from our interview with photos I took during her performance at the festival. Editing of all materials was done with the help of Steven Wagenheim. And here is a bonus question we did at the end. For more information on Alyson and her projects, you can follow her on Facebook and Twitter. She also has a Bandcamp page where you can find her Press Play project, mentioned in the interview. If you live in/near the area, please come to her EP Release on July 18th at Mercury Lounge. A free copy of the EP is included with purchase of admission if you tell the door person you are there to see Alyson Greenfield. As a preview, here is a video I took of Uncharted Places, which is the song mentioned during our interview. Thank you to Alyson for agreeing to the interview, and thanks to Steven for his editing skills. Edit: The album is now available for download on Bandcamp and iTunes. Thank you for your support.